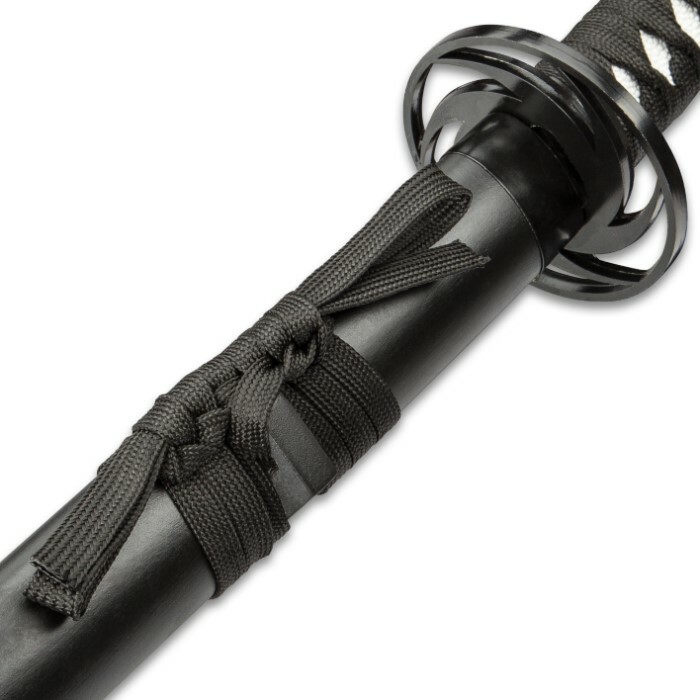 Undercover Tactical Two-Piece Sword Set With Scabbards - Carbon Steel Blades, Cotton Wrapped Wooden Handles, Display Stand | BUDK.com - Knives & Swords At The Lowest Prices! 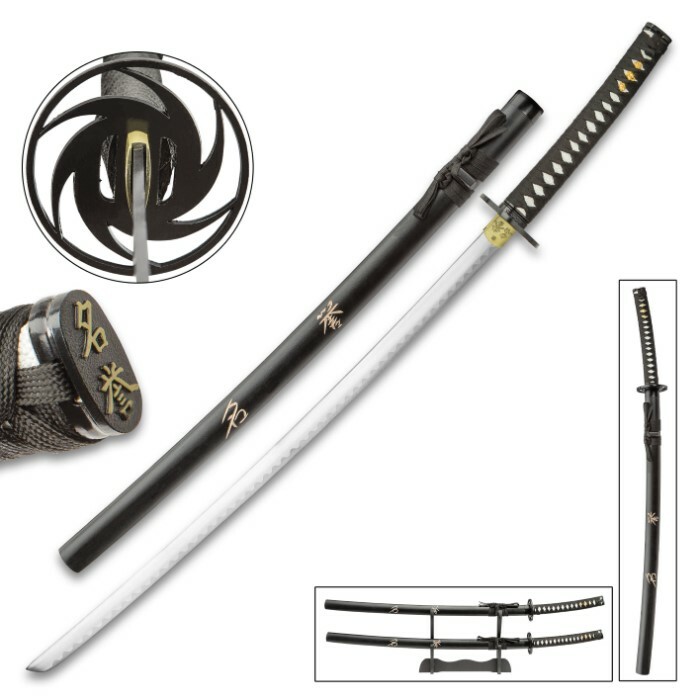 Our Undercover Tactical Two-Piece Sword Set is a dangerous duo with its two impressively designed and crafted katanas that are not only display-worthy but functional, too. 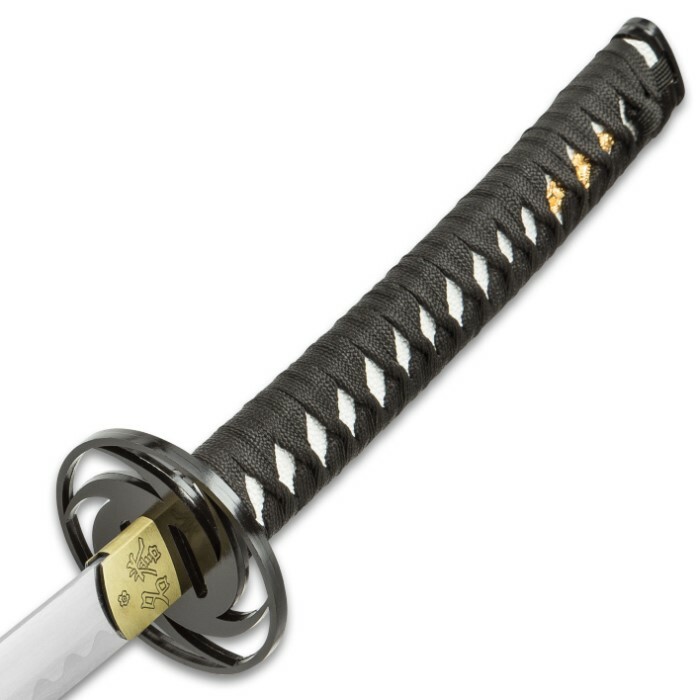 Each sword has a keenly sharp, 26 4/5” carbon steel blade with a 4mm blade thickness and a pronounced hamon line. 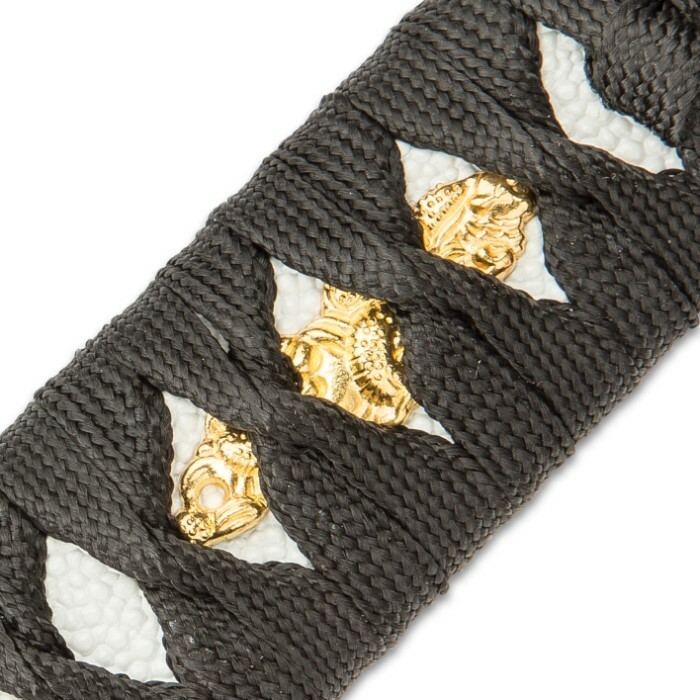 The wooden handles are traditionally wrapped in white faux ray skin and black cotton rope and feature gold-colored menukis. 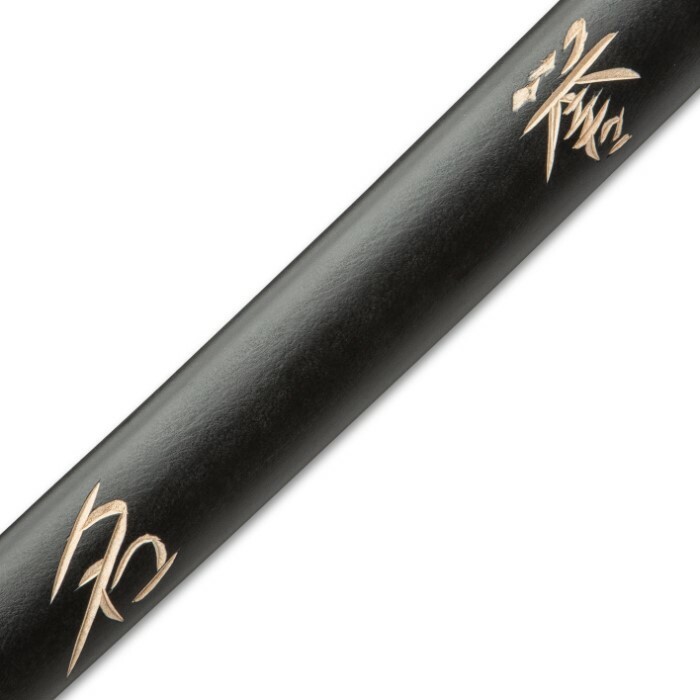 The black spiral shaped tsubas are crafted of metal alloy and the kanji etched habakis are of brass, making them a perfect complement. 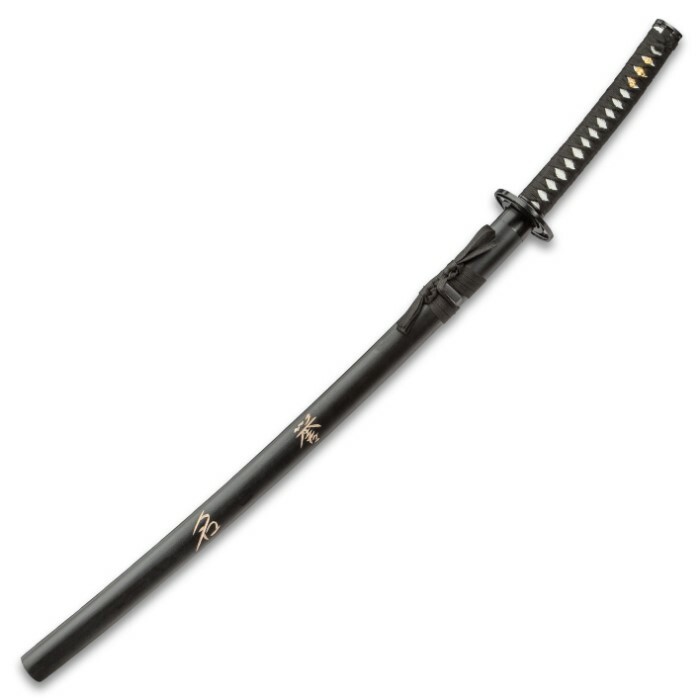 The two swords come sheathed in matte black wooden scabbards, which also have kanji etched into them to match the habaki. 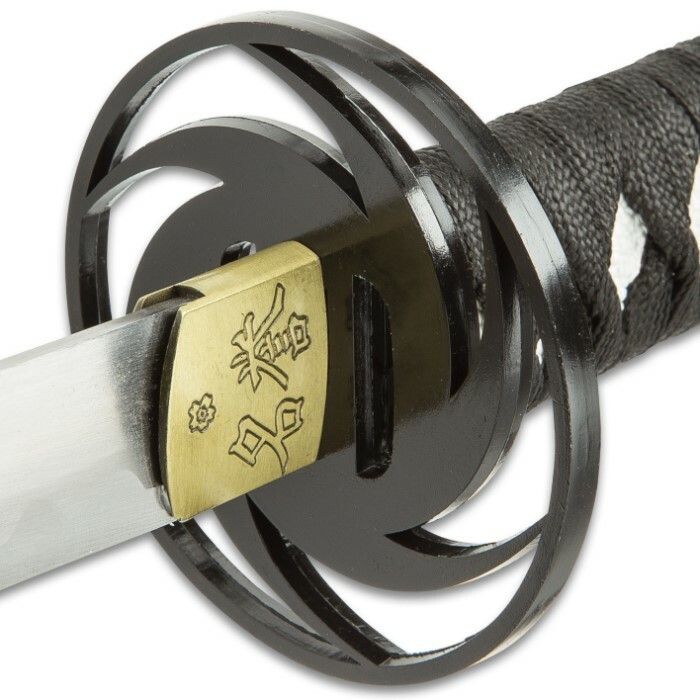 Each sword has an overall length of 41” and a premium wooden stand is included to display the awesome sword set. 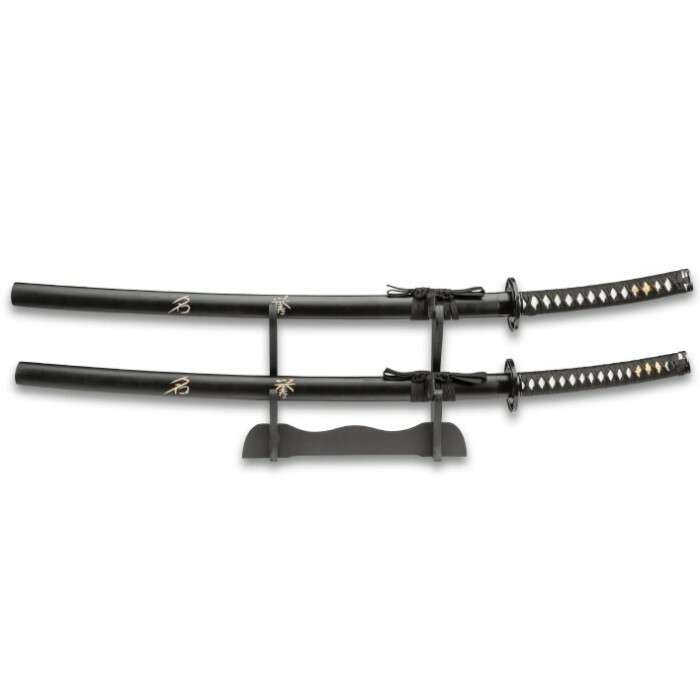 Got a great deal on the 2 swords and display case. 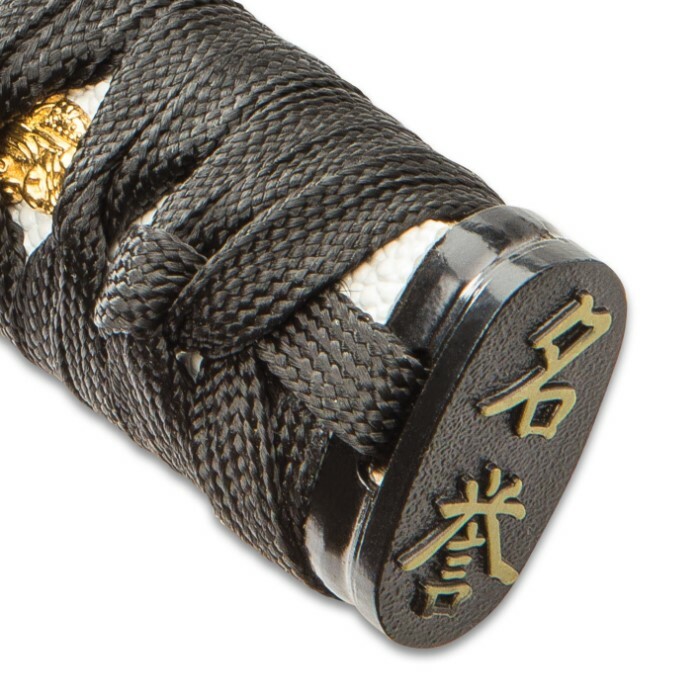 Wasn't sharp but I sharpened them and are very sharp now. Received a week earlier then expected too. Everything I wanted. I got a great deal on these it was a buy one get one and with the display case LOVED IT!